Please join MSED members and guests for an engaging evening as we hear from an all-star lineup of successful Detroit-based female executives on their unique paths to success, career challenges, success and what's next. Learn how they've each navigated the corporate world to rise to the top, and how they are planning to attack the dynamic future and challenges we all face. The evening’s panelists are some of the most influential women in the automotive industry, but the program will offer insights to all sales and marketing professionals, regardless of your industry or role. Led by Julie Fream, President of OESA, the discussion will span the executives’ career experiences, business insights and views on the transformational forces that will affect various industries in our region. As always, our sessions are intimate and interactive, so bring your questions and please plan to join us for our MSED networking hour to get to know fellow members and speakers before the panel discussion begins. 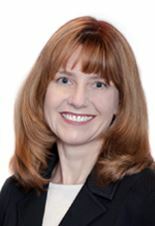 Julie was named president and CEO of the Original Equipment Suppliers Association (OESA) in September 2013. 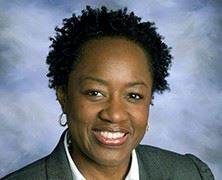 She has a 30+ year career in the automotive industry with roles in engineering, manufacturing and sales at GM; program management and marketing at Ford; strategic planning, sales and marketing, and business development at TRW, Inc.; and corporate strategy, global communications, sales and marketing at Visteon. 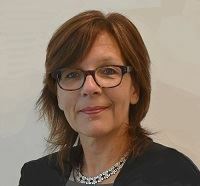 She is a member of the North American Fiat Chrysler Automotive Supplier Council and the Ford Supplier Council representing the interests of the automotive supplier community. In 2016, Fream was recognized by Crain’s Detroit Business as one of “Michigan’s Most Influential Women.” In 2015, she was listed as one of the “100 Leading Women in the Automotive Industry” by the Automotive News. She serves on the boards of Beaumont Health and Michigan Technological University. MSED Event Cancellation Policy: Cancellations will be accepted until 5pm on Friday, March 2, 2018. Cancellations received by this date will be refunded less a 10% administrative fee, with a minimum charge of $5. Refunds cannot be issued for cancellations received after this date; however, substitutions for another person to attend in your place are gladly accepted.